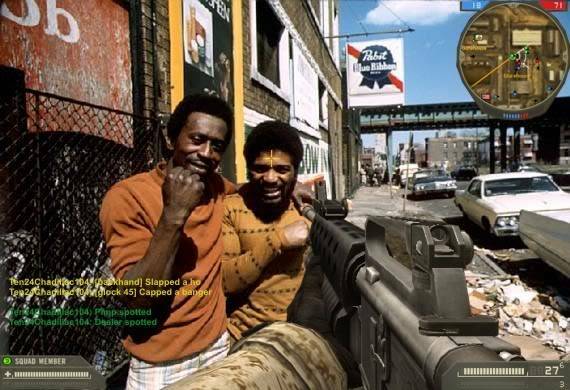 Battle Field 2 "The Ghetto"
Is this funny or Racist ? Re: Battle Field 2 "The Ghetto"
LOL thats just hillarious wow lol i cant stop laughing at that.... STUPID GHANDIES! lolololololoolololololol i also like the environment they are in reeeal classy eh? Fat_Shaman wrote: Chicken and Watermelon Anyone>?